Practical Life | Activities such as table washing, watering plants, making a snack and washing up, enable the child to participate in daily life and promote the development of concentration, hand-eye co-ordination and muscular control. 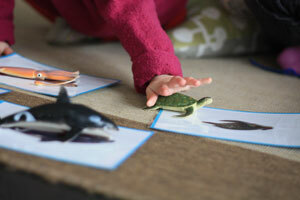 Language | The language materials expose the child to rich language from an early age. Baskets with classified objects, such as kitchen objects, farm animals, items of clothing, birds, fruits, enable children to concretely hold the object while hearing its name. There are also trays with objects and matching cards, for example, matching tools to pictures of tools. And then sets of cards with pictures of vehicles, types of cats, etc, and well chosen books in both Dutch and English, provide limitless amount of language opportunites for your child. Fine and gross motor movement | Some examples of manipulatives for fine motor development are puzzles, posting boxes, threading, nesting, opening and closing jars. These manipulatives are varied and provide endless opportunities for your child to develop their eye-hand coordination, cognitive development, and pincer grip ready for writing in later years. 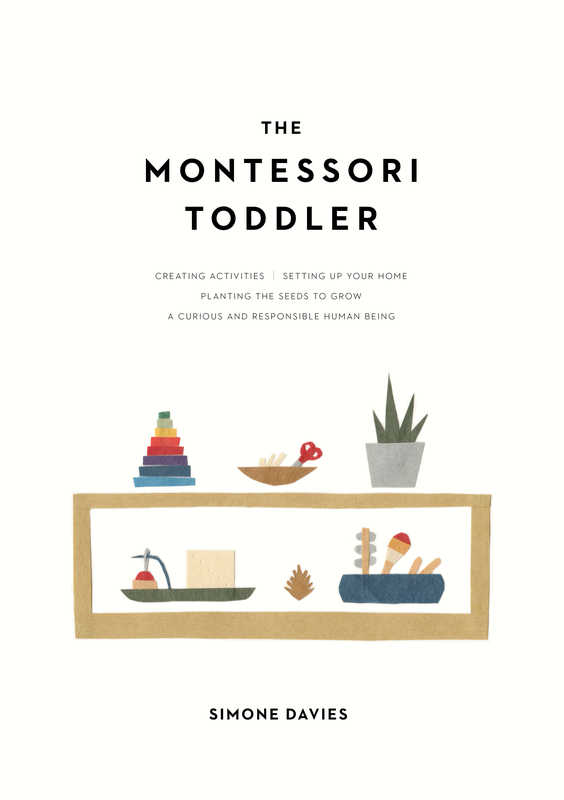 Opportunities for gross motor movement are found in many practical life activities, such as table washing, and in movement games during circle time. Art and craft | Like all the other activities in the environment, these activities are set up for the child to do the whole activity without adult assistance. A child wishing to paint can put on their apron, hang up the paper, paint paint paint, hang up the completed painting on the drying rack, and wipe down the board for the next child. The adult will only step in when necessary and then step back for the child to continue for themself. Music | A varied selection of instruments is available for the children to explore and we have a lot of fun with English and Dutch songs during circle time. The materials in the environment are all attractive, functional and manageable for a child with small hands—for example, small china jugs and glasses for pouring their own water, and small knives for spreading their own cracker for snack. The art on the walls is at the child’s height for them to appreciate.